The air is chilled and the first winter snow has fallen across the country. For many, driving in the snow is a commonplace affair. For others in more temperate climates, dealing with the snow and ice comes once in a while and takes some getting used to. Severe weather, like snow, sleet, and ice, can create hazardous and frightening driving conditions. According to the Federal Highway Administration, over 500 people are killed annually on average due to snow/slushy conditions. As responsible drivers, it’s important to know how to handle driving in inclement weather. 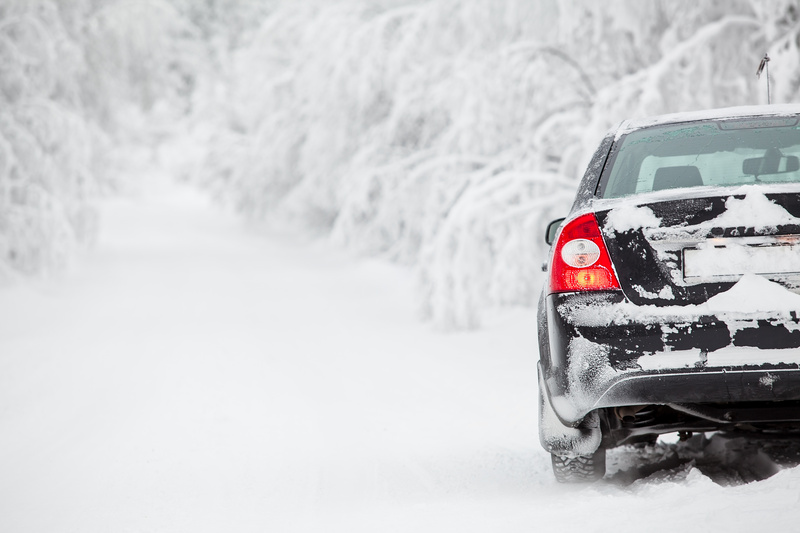 eTags offers a few tips and reminders on how to handle your car in the snow. Always keep an eye on worsening weather conditions. If you don’t have to go out, don’t. Keep your windshield and windows clear and make sure your windshield wipers are in proper working condition. Completely clear your car of ice and snow. The last thing you want is snow flying off the roof of your car and affecting your line of vision and others. Remove ice and snow from your windshield, roof, mirrors, hood, etc. Speed limits do not take into account inclement weather conditions. Reduce your speed accordingly even if it means driving well under the posted speed limit. Refrain from using cruise control on slippery surfaces. This includes roads that have been sanded or are extremely icy as well. Utilize your All-wheel drive. This helps with acceleration and control of power and traction in all of your wheels. This is especially handy on slippery surfaces and inclines. Drive with your headlights on but keep your high beams off unless you absolutely need them. Though staying off the roads in inclement weather is always advised, it is not always easy to do. Between commuting to work and taking care of regular errands like grocery shopping, there always seems to be a reason to leave your house even when it is snowing. If you do find yourself driving in the snow, follow these safe winter driving tips from eTags to get you to your destination safely.